Spring is springing! Seeds are sprouting.. I always forget what a delight all this sunshine is. Here is self portrait with spring tonic, in my natural environment, which is thesis writing at the kitchen table. Try as I might to use the office, I always end up back in the kitchen with the south facing window and a view of the Paskapoo Slopes. It feels like the appropriate season for some tonifying.. which means dropping refined sugar, caffeine, dairy, gluten and junk food for a little while. I am also taking daily doses of nettle juice, milk thistle and lacto-fermented ginger tonic. A herbalist friend introduced me to nettle as a way to eliminate hay fever. I can't believe how well it works. The only downside is drinking a bottle of green stuff that tastes like a cross between grass and hay... a bit nasty. 10 ml twice a day, which is half of a shot (yes I shoot my nettle, out of a shot glass with a quote from Dylan Thomas on the side 'An alcoholic is someone you don't like who drinks as much as you do.') But when I am done the bottle, my allergies are gone. This year I am planning to make a point of finding some fresh nettle, as I hear it is quite nice as a cooked green. Seems like a more pleasant way to get a dose. Milk thistle is a liver tonic that has also been shown to regulate insulin. I started taking it last year and found that it almost completely erased my pms related pain. The syrup I take is made with sea buckthorn berries, which are pretty tasty and are good for digestion. I used this recipe to make the ginger tonic. Next time I'll add less salt, because I found it came forward a bit too much for my taste. Aside from the benefits of ginger, this offers a good dose of lactobacillus without eating dairy. The tonic in the photo is made from boiling rose hips that I harvested last fall in water for 15 minutes or so, and straining out the solids. I then mixed it 50/50 with mineral water. I've never been one for drinking enough water, partially because I hate the chlorine taste so prominent in Calgary tap water. So I've started getting a 2 litre bottle of mineral water to keep in the fridge, and am also experimenting with a homemade carbon filter. I simply have a glass pitcher on the counter with several sticks of bamboo charcoal floating in it. I found the charcoal at the local health food store. 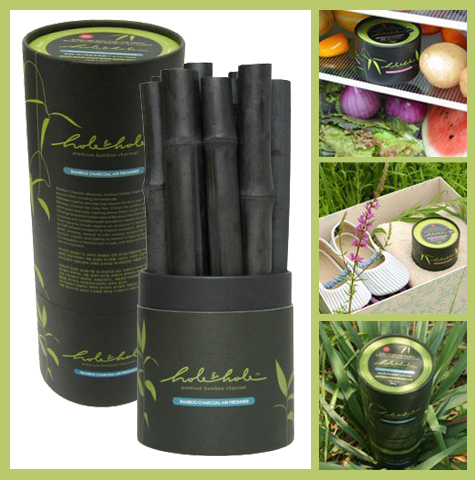 In Asia charcoal is used therapeutically in many different ways. I went to a spa in Korea where a dry sauna had walls entirely covered with huge pieces of charcoal, stacked like cordwood. People even eat it, you can find charcoal ice cream and charcoal cake! When I went for traditional treatment (similar to TCM, traditional Chinese medicine), the doctor had me drink packages of powdered charcoal in water for a few weeks. The bamboo charcoal isn't powdery however, it just sits in the water. And the water does taste much better than straight out of the tap. Because I'm taking a break from dairy, I also made almond milk. All that is required is soaking a cup of almonds in 2 cups of water overnight, blending it in the blender, and straining out the pulp. I added a bit of maple syrup. It was very nice, a light flavour. I found it was better the second day, with a kind of amaretto smell and taste. I used the pulp to make veggie pate for a party. It was really tasty. I'm definitely going to make it again. Blend well, refrigerate to set and let flavors blend. Serve with crackers or fresh bread. Here is a view of a usual lunch break around here, the only thing not in this shot is Hera the dog sleeping on her side, drooling on the floor. This soup recipe was from Bittman's How to Cook Everything Vegetarian.. Green Tea Broth with Udon. I found it rather plain, not my best effort. I used cheap green tea in a bag, as opposed to loose, that probably had something to do with it. The Bittman book rarely fails... tonight was a successful risotto primavera. I have tried many recipes but this one finally resulted in the creamy but not too sticky risotto I have had in good restaurants. I've always found vegetable risottos to be lacking flavor, but finally learned the secret. Butter! 6 Tbs of butter. Whoa. Makes sense though, given that scientists have confirmed what we already knew, that fat is a flavour. Speaking of fat, I made Eccles cakes for dessert this Easter. They are a traditional British cake that taste a lot like a mincemeat tart, made with currants and citrus. They were a lot of fun to make, although I was nervous when I realized they were a quarter of the size of the ones I remember my mom getting at the bakery when I was young. However they were well received, everyone said they preferred a small dessert with more fruit than pastry. Also, there was no added sugar in the recipe, which surprised me. They baked up nicely though, and the currants provided more than enough sweetness. I used frozen puff pastry left over from Christmas (which is where the fat comes in..). Not quite ready to try making it on my own. Although reading the ingredients on the side of the Pillsbury box is enough to scare me into it. Mmm, hydrogenated GMO soy oil.. Next time something calls for puff pastry, I'm going to try Delia's recipe, in which you freeze butter and grate it into the mix. It won't be as puffy but it won't be as cancer-y either. That's a fair trade. I've learned that we will be making a trip to Paris, London, and Cambridge this summer! Very excited. I've started researching places to eat with help from David Lebovitz and Clotilde Dusoulier at Chocolate and Zuchinni. There are organic markets to see, vegan French peasant foods to eat, and some amazing gardens that I learned about in the Four-Season Harvest, like the Jardin des Plantes. In the nineteenth century, gardens in Paris provided a significant amount of the fresh produce to the citizenry. They extended the growing season by piling horse manure between the beds in greenhouses, which then let off heat as they composted and heated the greenhouses. Then the compost was turned into the soil. Cool, huh. Except for the part about steaming piles of horse crap, of course..